"We have all heard the drumbeat for what advocates of a government-run—socialized—healthcare system call 'Medicare for All,' " Verma said in a speech Wednesday at the Commonwealth Club of California. "By choosing a socialized system, you are giving the government complete control over the decisions pertaining to your care, or whether you receive care at all." Thirty-three of the 57 Democrats who won primaries in swing districts this year expressed support some form of Medicare for all, according to data from the Progressive Change Campaign Committee. Nearly two-thirds of that group use the term in their campaign materials and just over a quarter are running in districts that President Donald Trump won. 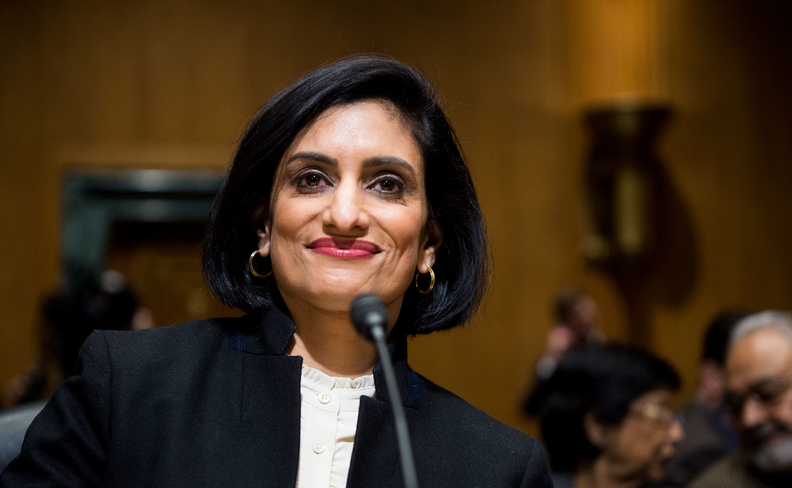 Verma said the focus of Medicare should be on seniors and disabled individuals, and she is concerned that moving millions more people into the program will cause the program to unravel as its finite funds would dry up. Earlier this year, the White House estimated that the Medicare trust fund will be insolvent by 2026, three years earlier than prior estimates. "You run the risk of depriving seniors of the coverage they have worked their entire lives to receive," Verma said. "In essence, Medicare for all would become Medicare for none." Because of that, the CMS would likely deny waivers from states to launch single payment systems, should ones be submitted, she said. "It doesn't make sense to waste time on something that's not going to work," Verma said. Polls report growing support for single-payer health insurance. When asked if the government has the responsibility to guarantee access to healthcare for all Americans, nearly 60% answer yes.